Robert Luff & Co are delighted to bring to the market this beautifully presented mid terrace family home, ideally situated just a short walk to the seafront, Lancing village centre and mainline station. Accommodation offers lounge/Diner and modern kitchen. 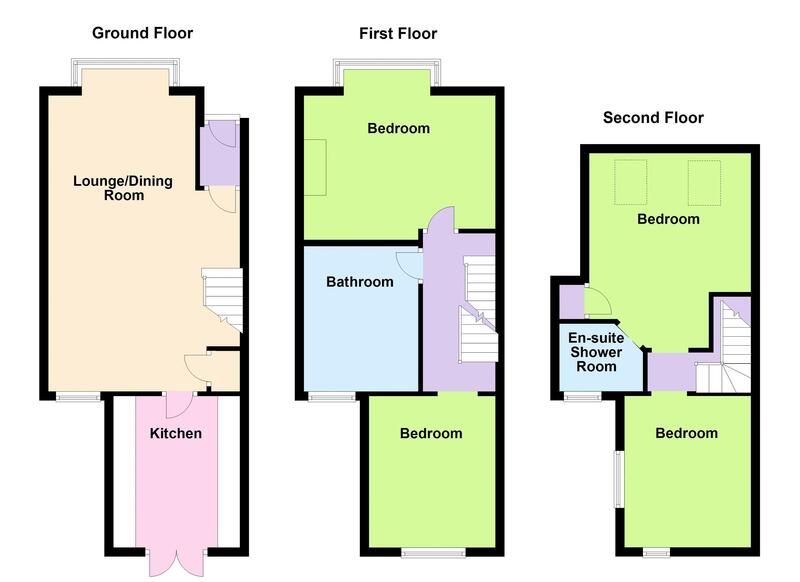 On the first floor there are two bedrooms and family bathroom and on the second floor you will find a further bedroom and master bedroom with en-suite shower room. Other benefits include a low maintenance rear garden and off road parking. Large double glazed bay window to south aspect, three radiators, feature fireplace with brick surround and tiled hearth, wood effect flooring, double glazed window to rear aspect overlooking the garden, storage cupboard housing electric metres, understairs storage cupboard. Matching range of high gloss wall and base units with wood effect work surface incorporating one and a half bowl sink unit with mixer tap and drainer, four ring electric hob with extractor over, eye level double oven, enclosed boiler, brick tiled walls, space and plumbing for washing machine and dishwasher, wood effect flooring, double glazed doors out to the garden. Large double glazed bay window to front aspect, newly carpeted, radiator and coved ceiling. Double glazed window to rear aspect, radiator, built in storage with shelving and coved ceiling. Matching four piece suite comprising panel enclosed bath with individual hot and cold taps, walk in shower cubicle, pedestal wash hand basin and low level flush WC. Fully tiled walls, tiled effect flooring and frosted double glazed window. Matching three piece suite comprising walk in shower cubicle with power shower, wall mounted wash hand basin with mixer tap and low level flush WC. Heated ladder towel rail, frosted double glazed window, fully tiled walls and floor. Dual aspect room with double glazed windows, newly carpeted and radiator. Secluded and fully enclosed, patio area coming off the rear of the property, artificial grass and timber built shed and rear access.